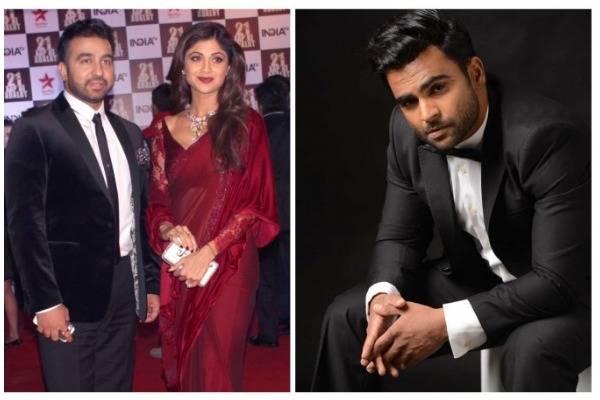 Shilpa Shetty’s Hubby Raj Kundra & Actor Sachiin Joshi Accuse Each Other Of Fraud On Twitter! Bollywood actress Shilpa Shetty’s husband Raj Kundra and Jackpot fame Sachiin J Joshi have accused each other of fraud. Raj and Sachiin had bitter fallout over the Indian Poker League match, which has now gone public. As per media reports, Raj Kundra, who launched the Match IPL last year, has alleged that a cheque of Rs 40 lakh that Joshi issued has bounced. Kundra states that Sachiin Joshi was a part of the consortium as he bought a team in his league. Further stating that after gaining immense “publicity” from the event, Sachiin defaulted on payments. Joshi stopped answering Raj Kundra’ calls and messages after the tournament got over. “Yes, we have gone legal on Sachiin Joshi. He has been terminated from the Match Indian Poker League for defaulting on payments. His cheque for Rs 40 lakh has bounced. His team was Goa King’s; he took full publicity and after the event avoided my calls and messages. I thought he was a friend. I am completely disappointed,” Kundra said in his statement to the tabloid. Responding to Kundra’s allegations, Manoj Asrani, Group CMO, of Joshi’s firm Viiking Ventures, called Kundra a “con man”. “Raj Kundra initiated a poker tournament by the name of Match IPL and around 10 teams were formed. There were commitments made and the same weren’t delivered. When we got to know that the tournament was rigged for a specific team to win, we withdrew our participation and did not sign any agreement. We made sure that the payments don’t clear as there was nothing to pay for and also informed other partners that we are out of this fraudulent tournament. We are pursuing this legally and will make sure that this goes through the right justice channels,” Asrani said. What’s confusing is @sachiinjoshi if u couldn’t afford a team why commit? If you needed more time to pay u could have asked. But to wait till the events over and taken full branding and then making your CMO mouth off airing his ignorance doesn’t say much about ur groups ethics! Meanwhile, the President of International Federation of Match Poker, Patrick Nally has slammed Sachiin’s allegations of the game being fixed. An apology has been demanded from Sachiin and if he fails to do so, a legal action can be taken against him. Previous : Veteran Actress Zeenat Aman Files Molestation Complaint Against Businessman!